One Book Good, Two Books Better? Well, from the author’s viewpoint it’s a no-brainer in the regrettable modern argot but, aside from that lone and far from impartial figure, it probably depends on who’s doing the reading. 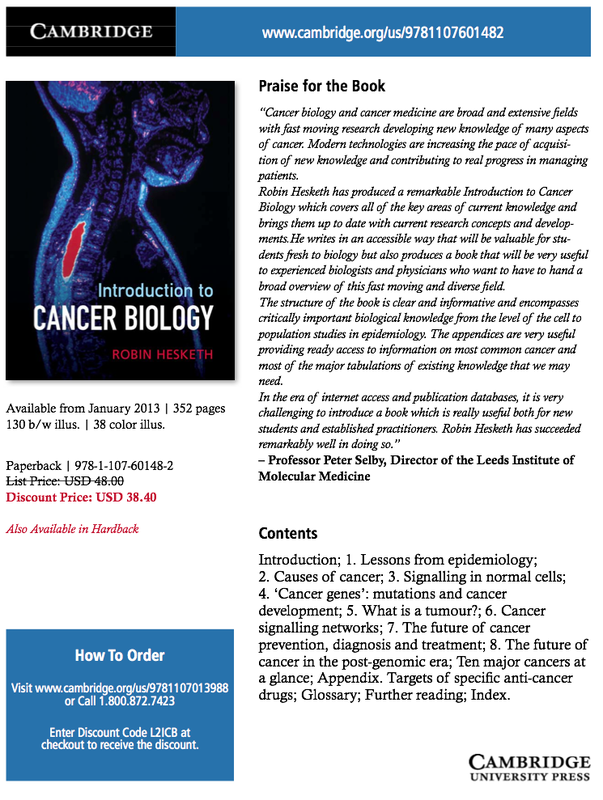 So let’s get the basics clear: this blog is about current topics related to cancer and the idea is to follow – albeit even more colloquially – the style and content of Betrayed by Nature (that’s Book 1, by the way). Book 2 has just come out and it’s a textbook. 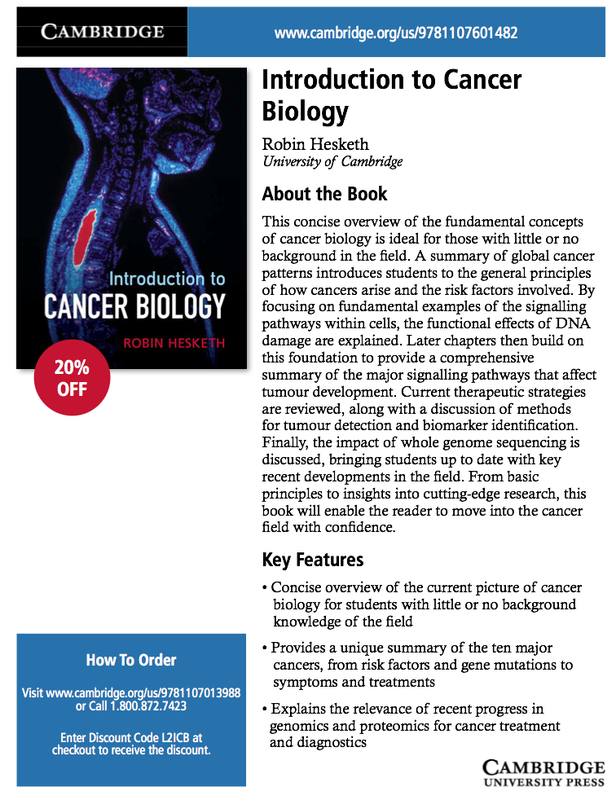 The title tells all: Introduction to Cancer Biology – written to take students from high school/sixth form to degree level in cell & molecular biology and cancer – or indeed anyone else who moves into the field from what’s sometimes deferentially referred to as the ‘hard sciences’ (that means, for example, folk like physicists and maths whizzos who decide to take on the challenge of disentangling cancer). So, of course, the Christmas message is “Read both” – but, being serious for a mo, only take on Book 2 if you are (or at least thinking of becoming), ‘a serious scientist’ and, contrary to what you may be told, there aren’t many of them – we really are jolly souls and labs resound to shrieks of mirth and girlish giggles (and that’s just the blokes). So by the end of Book 2 we’ve met a lot of genes and much of the complexity of cancer is laid bare in grizzly detail, whereas in BbN the aim is to tell the essential story in entertaining style. Even so, both books were written with the same guiding principle: the way our cells behave – and misbehave – is a wonderful, compelling tale and they come together as a work of art – a human being. The challenge for the author is to convey all that through the words you put down on the page. I’m not the first scientist to recognise the problem. Max Born (who won the 1954 Nobel prize in physics for his work on quantum mechanics – he was great mates with Werner Heisenberg – of uncertainty fame) wrote “To present a scientific subject in an attractive and stimulating manner is an artistic task, similar to that of a novelist or even a dramatic writer. The same holds for writing textbooks.” Couldn’t have put it better Max. 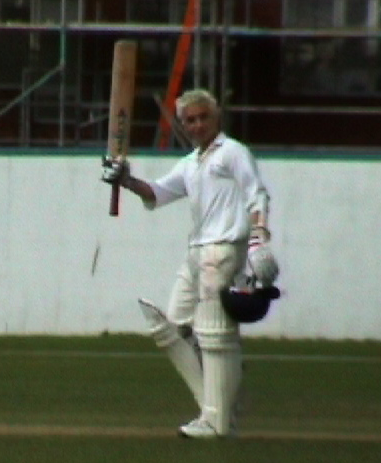 I’ve always credited Richie Benaud, the wonderful Australian cricketer and commentator, with the Slip-Slop-Slap slogan (I know – it was really thought up by some bright spark in Cancer Council Victoria who got Sid Seagull to sing it). But Mr. B ingrained it into cricket lovers world-wide as a mantra for preventing them getting skin cancer (slip on long sleeved clothing, slop on sunscreen and slap on a hat, you see) – the main preventable cause of melanoma being excessive exposure to ultraviolet (u.v.) radiation, most of which comes from the sun. And maybe it worked for the cricket fraternity who are, by definition, very smart cookies. Unfortunately in Australia the number of new cases of melanoma – the most lethal form of skin cancer – goes on increasing (over 11,000 in 2008) and it’s a serious UK problem too with 13,000 new cases in 2012 (the second most common cancer in 15 to 35 year olds) and over 2,200 deaths. Avoid sunburn … Play cricket … … for Cambridge!! In 2003 sequencing of the human genome was completed and it wasn’t long before Mike Stratton and his colleagues at The Sanger Centre near Cambridge had applied the knowledge and methods of that great triumph to melanoma – a form of cancer about which virtually nothing was known in terms of its molecular biology. They made the remarkable finding that a mutation in a gene called BRAF switched on a signal pathway that drove cell proliferation in about two-thirds of melanomas. Remarkable because that gene had not previously been associated with any cancer. Even more amazingly, within a few years drugs had been developed that targeted BRAF and caused substantial regression of tumours that had spread (metastasized) in patients. Like all cancers, melanoma is not caused by one mutation and other ‘drivers’ have since been identified – which was a bit of a relief because a perplexing thing about BRAF is that the mutation that turns it on is not the kind of genetic change caused by u.v. radiation. So the link between radiation, BRAF and melanoma is explained in most cases by u.v. exposure damaging a variety of genes which then act together with mutant BRAF to promote the disease. Clear so far? Good – but you will know that cricket and cancer have in common the fact that they are both a deal more complicated than they appear to the uninitiated. The first quirk of melanoma is that folk of fair complexion or with red hair or freckles are more at risk. The wide variation in human colouration is controlled by two forms of a pigment called melanin (pheomelanin and eumelanin). A key regulator of the balance between the two is a signalling system – a messenger talks to its receptor on the cell surface telling the cell to make more eumelanin. Upset this system and the balance is disturbed – you get redder because you make relatively more pheomelanin. It’s possible to make a mouse model of human redheads (you shouldn’t be surprised: remember mice have more or less the same number of genes as us, including one that makes the receptor that controls redness). So some bright sparks in the US of A have done just that by mutating the mouse receptor – with interesting results. When the ‘red’ mice were bred with animals carrying the mutated BRAF gene associated with melanoma in humans, many develop exactly the same type of cancer – whereas black mice (lots of eumelanin) and white mice (who can make neither of the pigments) have very low rates of melanoma. And, of course, it was important in these experiments that the mice weren’t allowed to nip off to sunbathe and watch cricket – i.e. they were kept in a u.v.-free environment. What this shows is that red mice (and by extension, their human counterparts) can get melanoma by some means that doesn’t involve u.v. It may be that eumelanin protects DNA from two forms of assault: it not only absorbs sunlight but also limits the effect of chemicals produced within the body that can mutilate our DNA. Whatever the mechanism, Richie is right as usual: we should continue to Slip-Slop-Slap because too much catching the rays can cause melanoma – especially in fair, freckled red-heads. But that isn’t the full story and the imperfections of our bodies mean that we can develop this cancer from within as well as without. Mitra, D., Luo, X., Morgan, A., Wang, J., Hoang, M.P. (2012). An ultraviolet-radiation-independent pathway to melanoma carcinogenesis in the red hair/fair skin background. Nature 491, 449–453.